Ice Nine Online executed an online rebrand for a top-tier B2B financial services firm. Wellen provides businesses the capital they need to address current issues, take advantage of opportunities, and power continued growth. 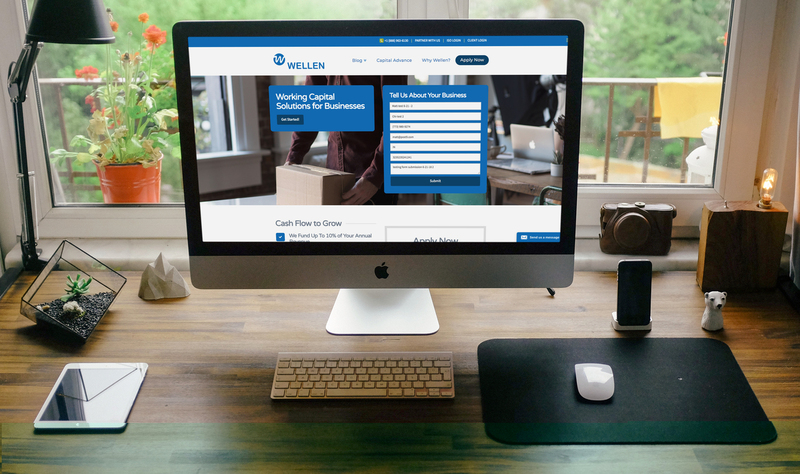 Building on a 60-year tradition in supporting small businesses, Wellen Capital combines a rich history with a fresh perspective on meeting our customers’ capital needs. Their mission is to give small businesses, such as retailers, restaurants and service providers an easy, accessible non-bank capital alternative. Wellen needed a complete rebrand of their online presence. Ice Nine Online managed and executed the rebrand online, including re-skinning the prior website, updating Google My Business and other online properties, 301 redirects from the old brand URLs to new ones, Google Analytics updates, Google Search Console updates, updating all mentions of the old brand, and deploying the newly rebranded website.